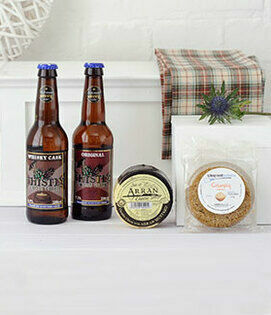 Browse our selection of hampers for the perfect corporate gift for clients, management or staff. Let us deal with the addresses! Just send us your recipient list, and we will send your hampers to any number of individual addresses, saving you the time and effort. We can include a gift message or your own corporate material. Or customise your gift, by choosing from over 150 carefully selected luxury food and drink products on our website, or by adding additional items we can stock specifically for you. We also offer a range of personalisation options which include personalised branding on hampers as well as specified food and drink labels, to make sure whoever it is they don't forget you! And remember we also offer a 10% discount on all corporate hamper orders over £250 (excluding VAT, delivery or any other offer) excluding Christmas orders. Simply register with us below or select the corporate member tick box during checkout! Fill in the form, giving us details of what you need, as we say let us do the hard work for you! 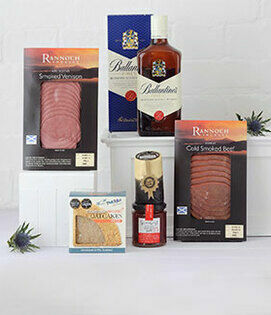 Treat your clients to a gift they'll never forget with our range of delicious Scottish hampers. Range of hampers suitable for any company director or executive, perfect for showing your gratitude. 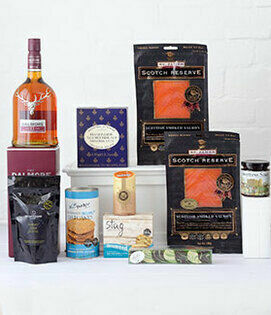 Show your employees how much you appreciate their hard work with our range of ready made hampers. 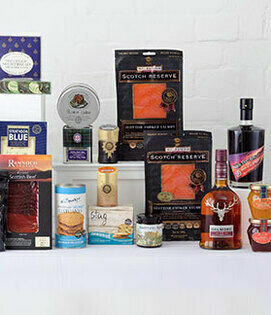 Selection of premium hampers suitable for company management, making the perfect corporate gift.